You’re walking down the halls in school. It’s December time and you can’t deny it because you see a teacher walking by with a Santa Claus hat on and you can hear Jingle Bells on the loudspeaker. The Christian Club, the Muslim Club, the Oriental Club, the Korean Club… they’re all doing their thing, and you wonder, “What about me? Where do I fit in?” Goodbye bleachers. You’re not just the audience anymore. It’s time to play, and we’re giving you the ball. This year, have your public high school join the scene where Jewish teens get together at lunchtime or right afte school and have some fun. We’re talking kosher pizza and cool activities like baking, ceramics, woodworking, debates, cooking, and, with special permission, horseback riding in the halls (we’re kidding on that one, but you get the picture). Clubs meet on a weekly or monthly basis (depending on the location) and it’s of course run by teens for teens. A directory of Jewish School Clubs in Florida will be available soon. 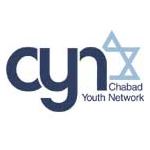 To start a Jewish Club in your school, fill out this form and Press Submit.